According to the media reports, Nepal's opposition Maoist party began the second day of a nationwide strike Monday for the resignation of the prime minister, who has refused to step down. The Maoists vowed to continue their action indefinitely, which on Sunday was reported to be largely peaceful except for some clashes in some areas. The Times of India has reported that the strike has affected transport and industries in the poor Himalayan republic. 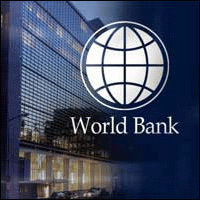 A $129.2-million aid to Nepal to support the delivery of essential heath services to the poor has been approved by The World Bank (WB). A statement issued by the bank said that the Second Heath, Nutrition and Population and HIV/AIDS Project approved by the World Bank Wednesday will support the Nepal Health Sector Program II, the Nepal government's five year program (2010-2015). Manisha Koirala to wed Nepali businessman? Kathmandu, April 6: Bollywood actress and the daughter of one of the most powerful political houses in Nepal, Manisha Koirala, seems finally set to tie the knot - and in Nepal. The 40-year-old actress, the country's most eligible single woman, will finally say "I do" to Nepali businessman Samrat Dahal with the wedding set for June 19. Kathmandu, March 27 - At 74, veteran Bengal artist Suhas Roy is willing to explore new ventures and collaborations in Nepal and elsewhere. However, what the creator of the acclaimed "Radha" series is not even willing to contemplate are honours conferred by his own government. "Padma Shris and Padma Bhushans don't come openly," he says. "They always have stories behind them. You need affiliations to the government, parties." Doctors at the Sahid Ganga Lal Heart Centre discharged President of the Nepali Congress Girija Prasad Koirala today. He was admitted after he complained about breathing problems. After showing elements of improvement, the president was immediately set free from the hospital. The health conditions showed a rise in oxygen level, which had initially decreased causing a lapse in breathing. To lay a hand in improving the health conditions of the former Prime Minister Dr Randeep Gulariya from New Delhi's Apollo Hospital was rushed to Kathmandu on March 14 to be present at the Martyrs' hospital. Godrej Sara Lee (GSLL), a JV between India's Godrej Group and the US-based Sara Lee Corporation, is establishing a facility in Nepal with the intention to meet up the increasing demand for insecticides in the Himalayan republic. Mr. Mohan Sapre, the company's deputy chief for international operations, GSLL, which is known for its household mosquito repellent Good Knight, has decided to make an invemnet of Rs 1 crore to establish the facility. After hitting the news stands with his declaration of competing the 2014 general elections with a new party, Indian yoga guru Swami Ramdev announced his plans to launch a yoga ashram in Nepal shortly. In the year 2007, Ramdev's first yoga camp in Kathmandu ran into trouble after alleged disagreement by the Maoists. Nepal's Prime Minister Madhav Kumar Nepal and President Ram Baran Yadav are Ramdev devotees. When Ram Baran Yadav recently visited India, he also travelled to the Haridwar yoga ashram. Winters in Nepal are tough. Daily power cuts stretching to 16 hours a day are common from December to March. Unusual for a country that boasts of a hydropower potential of 83,000 MW — almost 100-times the peak winter demand of around 810 MW. But despite a century-old history of power generation, which started with the Pharping hydroelectric plant in 1911, the country has to resort to power cuts or look to India for help. Last winter the situation was so bad that the government had to declare a national electricity crisis and incidents of public venting their ire on the Nepal Electricity Authority’s offices occurred. But nothing much has improved and the situation is almost similar this winter too. India has extended $250 million line of credit to Nepal during the Nepalese President Ram Baran Yadav's state visit to the country. The line of credit will be offered through the Exim Bank. India has also supply 80,000 tonnes of essential food grains to the country. The two countries signed four pacts which include setting up new railway links, an updated air services accord, an India-sponsored polytechnic and construction of a new convention hall near the India-Nepal border. democracy. We hope that the remaining tasks would be completed expeditiously, so that the new Constitution of Nepal is adopted." Kathmandu, Feb 9 - Two years after Ram Gopal Varma's remake of the Bollywood classic "Sholay" suffered censors' scissors in Nepal, the film director's new release "Rann" has met with an entirely different response here, with top Maoist leaders calling it "inspiring". Nepal's former Maoist guerrillas, who had often called for a ban on Hindi films during their 10-year "People's War", have now trooped to see "Rann", starring Amitabh Bachchan, who plays a media tycoon grappling with wily politicians. India has opened their medal tally in the 11th South Asian Games as Indian women’s cyclist team has won gold medal in the 30-km road team trial, while men’s hockey team has defeated Nepal by 21-0 at the Moulana Bhashani Stadium in Dhaka. Ajitesh Roy slammed five goals for India in 15th, 58th, 59th, 66th and 68th minutes respectively, while Yuvraj Walmiki and Mohammed Aamir Khanscored scored three goals each. Pramod Kumar, V Raghunath and Hamza Mujtaba also shared two goals each. It may be lagging far behind its neighbours like India and China in development, but Nepal has managed to score a lead over other South Asian nations in environment protection according to a latest worldwide survey. The 2010 Environmental Performance Index released on Thursday at Davos has ranked Nepal 38th among 163 countries on 25 performance indicators tracked across 10 policy categories covering both environmental public health and eco-system vitality. Only Japan (20) and Singapore (28) are the other Asian countries that have performed better than the Himalayan nation. Nepal’s bigger neighbours India and China have been ranked 123 and 121 respectively in the survey. Continuing its anti-India tirade, Nepal’s main opposition party—the Unified Communist Party of Nepal (Maoist) has asked an Indian firm to stop work on the 300 MW Upper Karnali hydro-power project. The party has asked GMR-ITD Consortium, a branch of GMR Energy, to stop work on the project located in the area bordering Surkhet, Accham and Dailekh districts stating that it was not in Nepal’s favour. In a press conference at Surkhet on Monday, UCPN (M) politburo member Khadka Bahadur Biswakarma stated that the decision to halt work on the project was taken as per central policy of the party. “Upper Karnali is an important property of Nepal. We intervened to close work on the project as only foreigners will benefit from it,” Biswakarma told media persons. Foreign Minister S M Krishna has expressed his reservation over the Maoist protest against India by Maoist leader Pushpa Kamal Dahal alias Prachanda, the Chairman of the Unified Communist Party and former PM of Nepal. Both leaders held a meeting on Saturday discussing various controversial issues. Krishna asked for the need to expedite peace process and drafting new constitution within a given timeframe with consensus of all political parties of the country. The Indian Foreign Minister, who is on a three-day visit to Nepal, denied the charges of Indian encroached Nepal’s territory as claimed by Prachanda in his ongoing protest in Nepal. Kathmandu, Jan 11 - Ahead of Indian External Affairs Minister S. M. Krishna's first official visit to Nepal, former Maoist guerrillas Monday kicked off an anti-India campaign, accusing the southern neighbour of grabbing Nepal's territory. Maoist chief and former prime minister Pushpa Kamal Dahal Prachanda led a protest rally in Kanchanpur district in far-west Nepal where the Maoists are condemning the Tanakpur barrage built on the Mahakali river by India, saying it gives undue irrigation facilities to the Indian side. Prachanda said his party would spearhead a new campaign to save Nepal's sovereignty since the current coalition government of Prime Minister Madhav Kumar Nepal was being "manipulated by foreign powers". Kathmandu, Jan 10 - After beginning the new year with a nationwide general strike, Nepal had its capital paralysed once again Sunday by a fringe party that is opposing the decision by major parties to restructure the former Hindu kingdom into a federal nation. The Rastriya Jana Morcha (RJM), a splinter left party, began blocking main roads in Kathmandu valley and set at least two vehicles on fire Sunday to protest against the move towards federalism, police said. The RJM split from the Jana Morcha in 2006 after the latter joined an alliance of major parties with the former Maoist guerrillas to oppose the army-backed rule of King Gyanendra. Kathmandu, Jan 10 - Seven years after he made his last film in Nepal, the lone Indian director here is poised to make a comeback with his new movie exploring the psyche of Nepalis and people of Nepali origin scattered all over the world. The Nepali film industry's once-acclaimed director Tulsi Ghimire, who began his career as a spot boy in India's Bollywood to learn the craft of filmmaking from scratch, has returned to Nepal with a romance, "Maya to maya ho" (Love is love), which released in Nepal last week. Kathmandu, Jan 8 : Bollywood's current top-grossing film "3 Idiots", which has replaced James Cameron's "Avatar" in Nepal's cinemas, has now made its mark on the country's politics as well. On Friday, when the three leaders of Nepal's major parties agreed to form a "high-level political mechanism" to end the protracted impasse created by the fall of the Maoist government last year, a popular weekly compared the politicians to the "3 Idiots" - the trio of bumbling students played by Bollywood icon Aamir Khan, Sharman Joshi and R. Madhavan. The bid by opposition Maoists in Nepal to restore ‘civilian supremacy’ seems to have hit an internal roadblock with differences between party’s two senior most leaders coming to the fore. Last week, Chairman of UCPN (Maoist) Pushpa Kamal Dahal ‘Prachanda’ said that his deputy Baburam Bhattarai is trying to become country’s next prime minister with India’s help. He had stated that Bhattarai’s name is being repeatedly proposed by India as the next prime minister in order to play on the party’s internal differences.